After an Easter weekend of no boat shows, the events are starting to pop up again for the spring season. This weekend's boat shows are in Maine, New Hampshire, Washington and Mississippi. 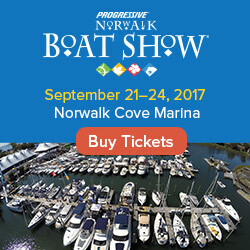 The Bay Bridge Boat Show is less than 2 weeks away. This pic is from last year's show. 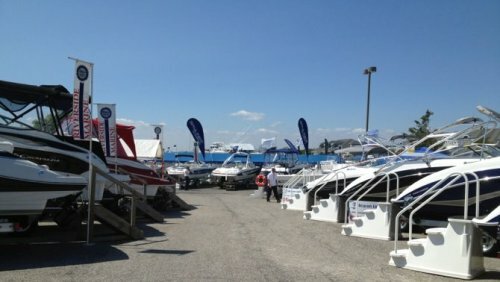 If you are looking for a boat show, there are a few to choose from this weekend. But the spring boat show season really heats up towards the end of April with big boat shows in the Annapolis area and other major boating locations. The Gulfcoast Yacht and Boat Show is happening this weekend in Gulfport, Mississippi. The Maine Boat Show is going on this weekend in Portland, which recently hosted the Main Boatbuilders Show. This weekend's event is at Ocean Gateway Marina. This show looks like it was cancelled! Also in New England, there's the cocky-sounding Great Northeast Boat Show, which is happening at the Hampshire Dome in Milford, New Hampshire. For more info on these and other New England events, visit www.NortheastBoater.com. Meanwhile, on the other side of the country, the Anacortes Boat Show is taking placing at Cap Sante Boat Haven in Anacortes, Washington. For more info on these and other events this weekend and in the coming months, check out our boat show calendar! Sponsor our site. See your ad here. Fixed, in place, does not rotate with other ads = UNLIMITED PAGEVIEWS. 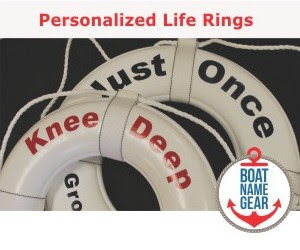 BoatNameGear - Offers high-quality boating gifts, personalized with boat names.